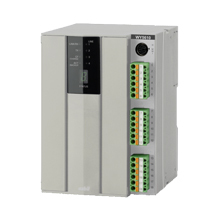 Infilex™BC is a multipurpose controller designed to control building equipment, such as AHU. Infilex™BC enables to control the temperature and humidity, as well as building equipment operations. Infilex BC manages Infilex VC and allows you to control and monitors individual VAV units (ON/OFF, failure monitoring, measuring, and setting) from client PC of our BMS. Infilex VC being combined with Infilex BC performs load reset control of supply air temperature, fan speed control, interlocking operation of VAV units. Infilex BC control unit is used with Infilex BC I/O control unit. Infilex BC control unit conforms to all the applicable standards of CE Marking (Class A).